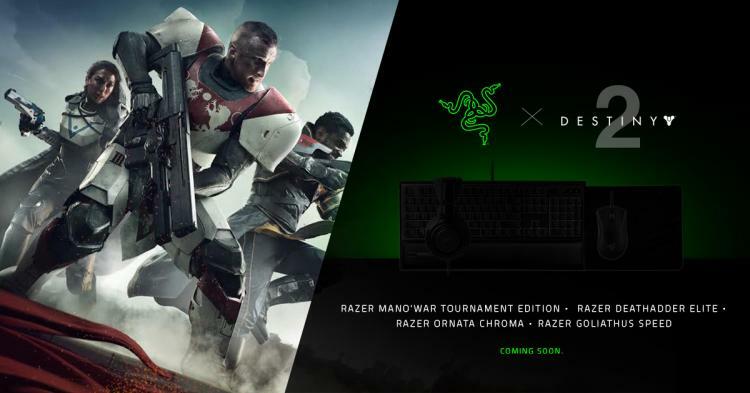 Razer announces its collaboration with Bungie, the game studio that released the most-awaited Destiny 2 game published and distributed by Activision. Together with Bungie, Razer will release Destiny 2 themed peripherals to celebrate the game’s upcoming launch on PC, Playstation 4 and Xbox One. The Razer Destiny 2 gaming peripherals will be a complete set which will include the following below. Razer’s CEO Min-Liang Tan and Bungie Creative Director Jim McQuillan released the following statements below regarding the upcoming Razer Destiny 2 gaming peripherals. “This is one of the most anticipated games this year, with a community that’s been yearning for a PC release. Destiny’s innovation and depth is remarkable. We’re honored to be working with some of the world’s best developers to support the launch of the game on PC.” – Min-Liang Tan, Razer co-founder and CEO. Destiny 2 was announced early this year, the sequel to the successful game title ‘Destiny’. The Razer Destiny 2 suite of gaming peripherals are set to be released worldwide this September 2017. For more information, visit http://www.razerzone.com/about-razer.